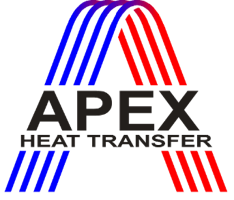 "Leaders in Heavy-Duty Plate-Type and Tubular Gas / Gas Exchangers"
"Stadtentwässerung Mannheim would like to present our appreciation to APEX Group, regarding your professionalism in delivering the Heat Exchanger precisely fulfilling our expectation and plant’s demands. (…) Your high quality product keeps an outstanding performance for 10+ years, under the operation at high temperature (900o C) and in a very dirty environment. We would like to thank APEX Group for design engineering, fabrication expertise, excellent collaboration during project execution and after-sale service." "During the preparation, design and manufacturing process, we have been able to experience the cooperation with APEX as pleasant and the complete package meets the requirements as stated in the scope of supply." "We were pleased with your execution of this order including on-time document submittal in proper accord to our requirements, easy communication through both email and phone calls direct to your offices and excellent coordination when it came time to arranging the shipment (…) Your professionalism is noted and we would have no problem in recommending APEX for future work."